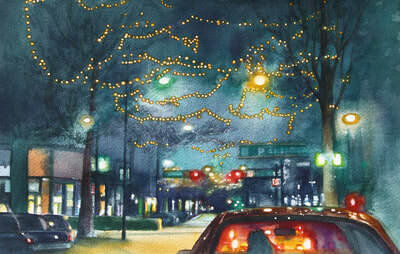 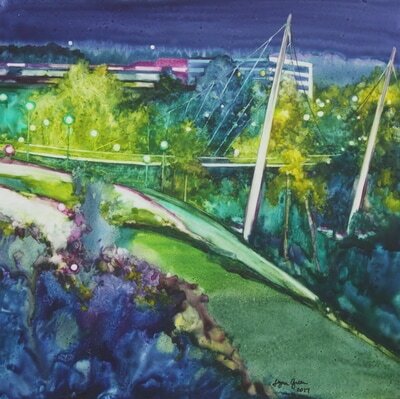 Lynn Greer lives and paints in Greenville, SC. 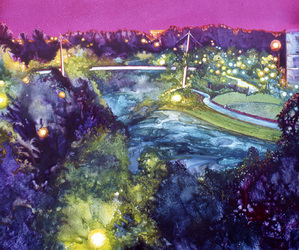 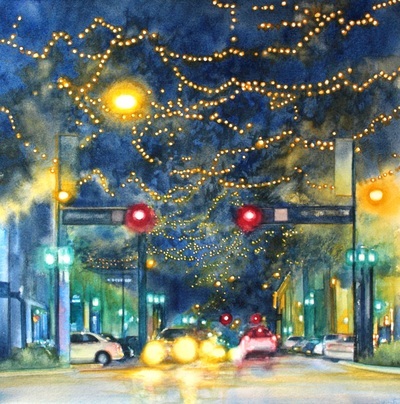 She graduated from UGA with a BFA in Graphic Design and after eight years in advertising, she joined the ranks of “poor starving artists.” For over twenty-five years she has made a living as a working artist; painting commissioned works, participating in solo and group exhibitions, taking part in outdoor arts festivals and entering juried competitions. 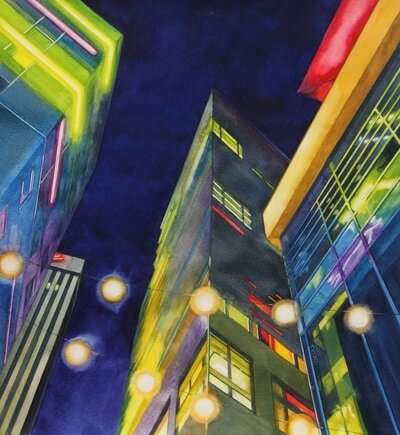 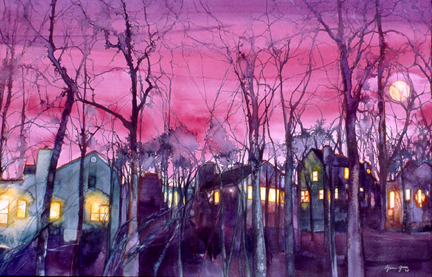 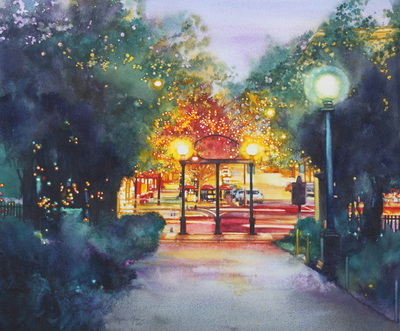 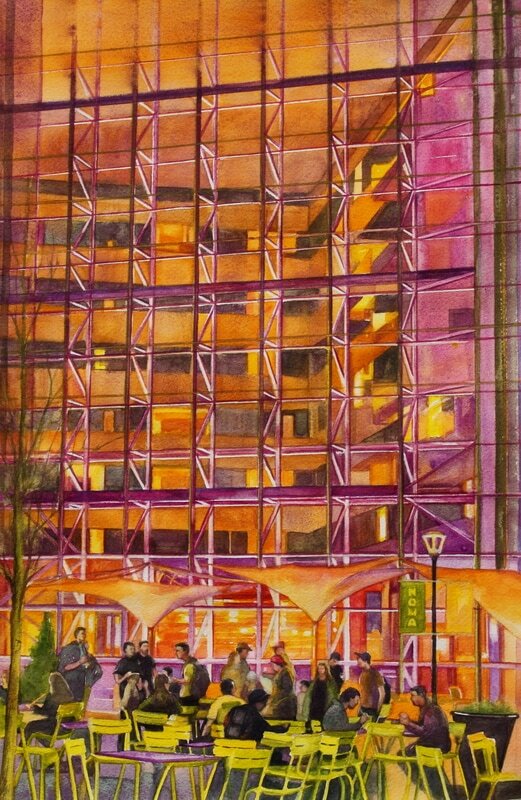 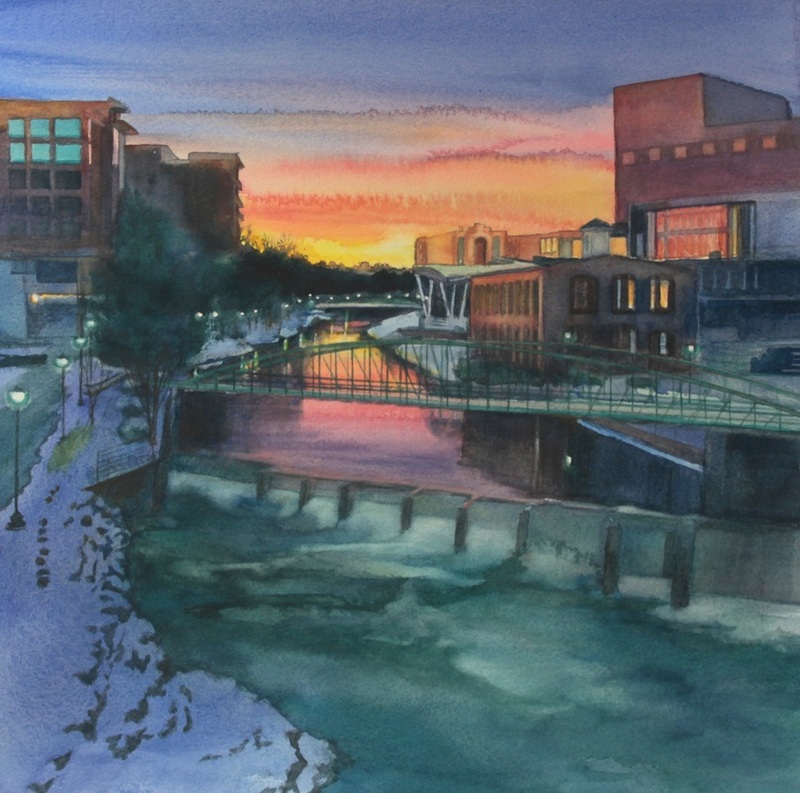 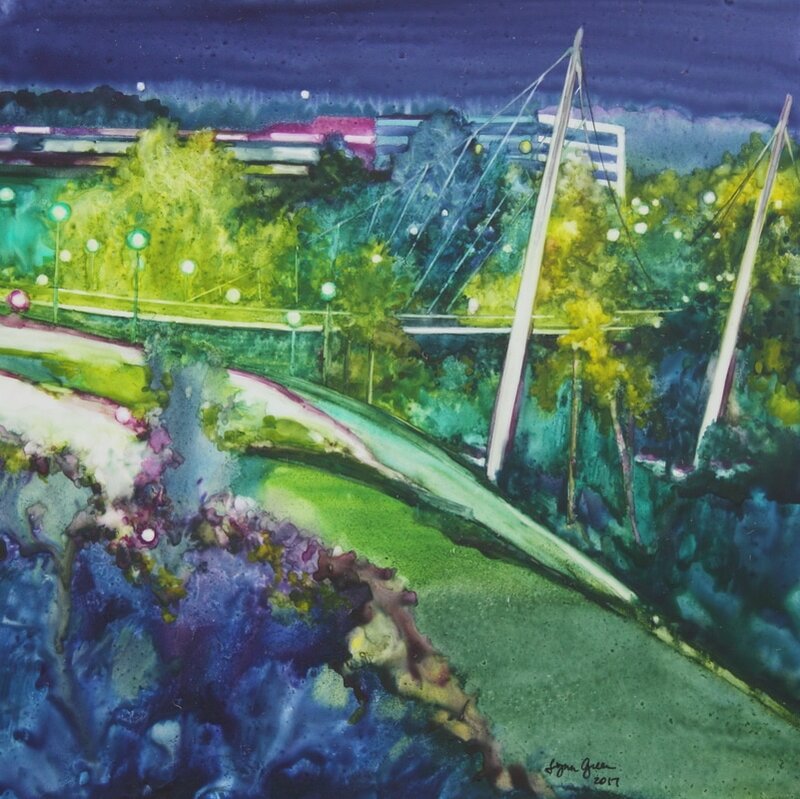 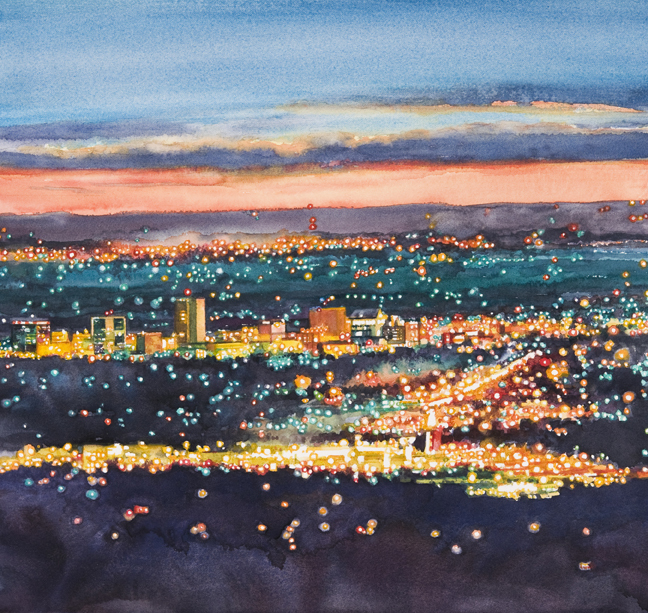 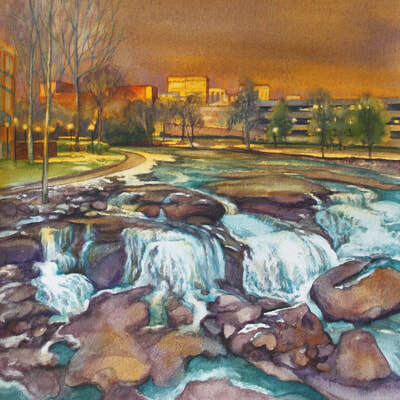 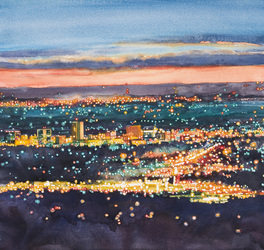 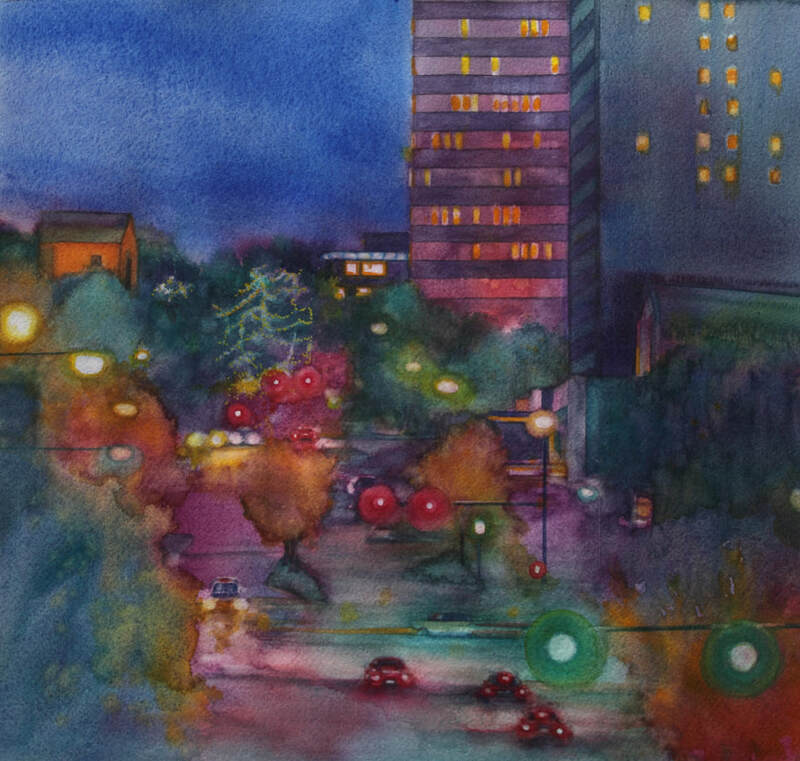 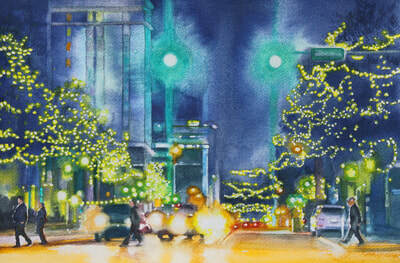 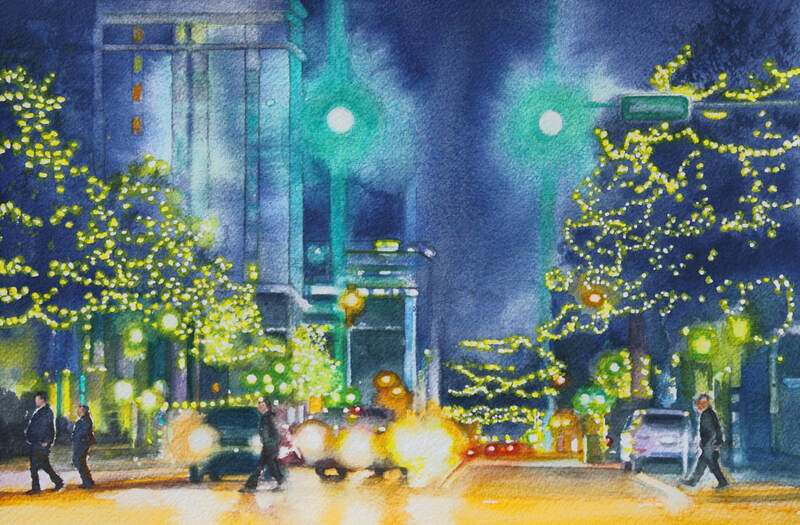 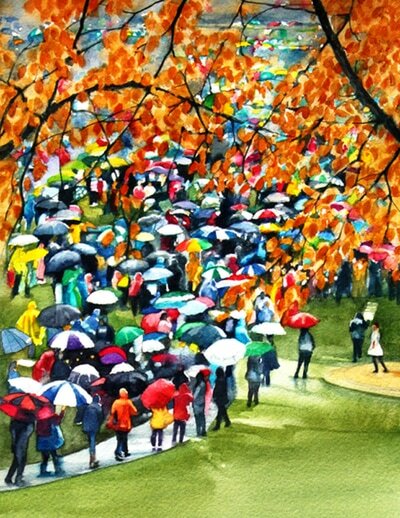 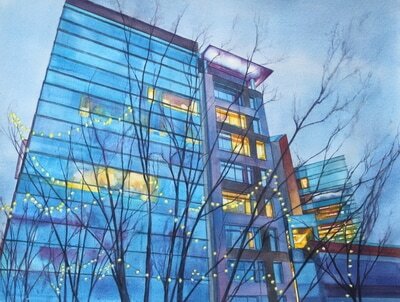 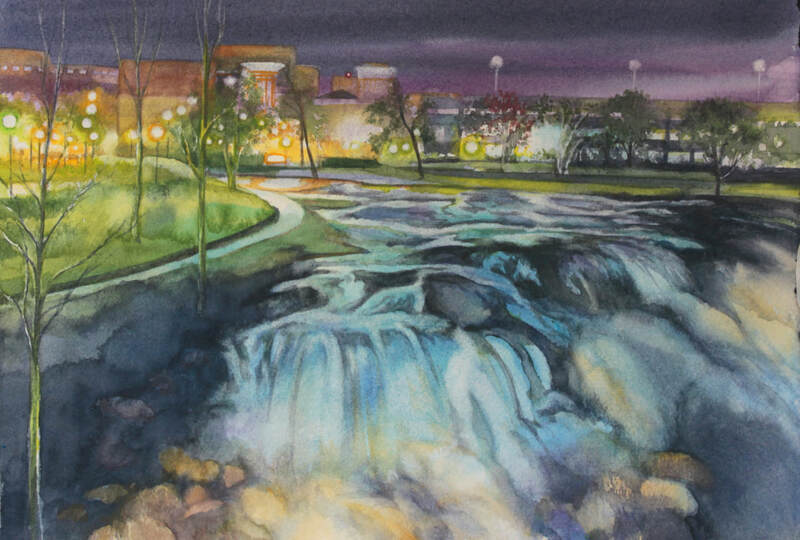 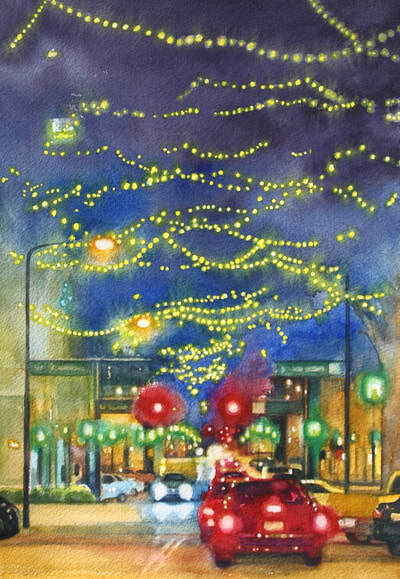 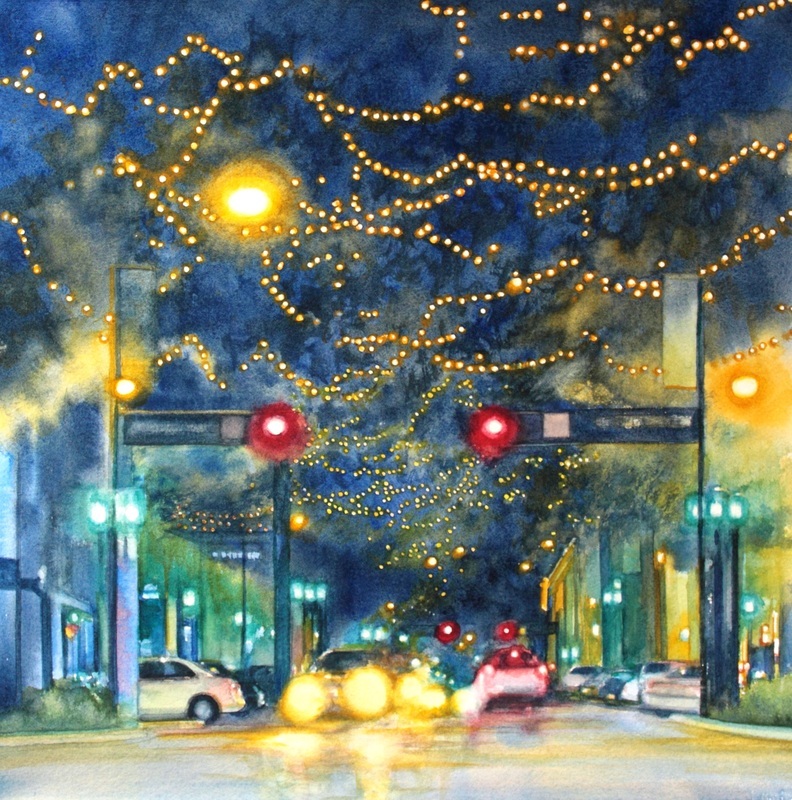 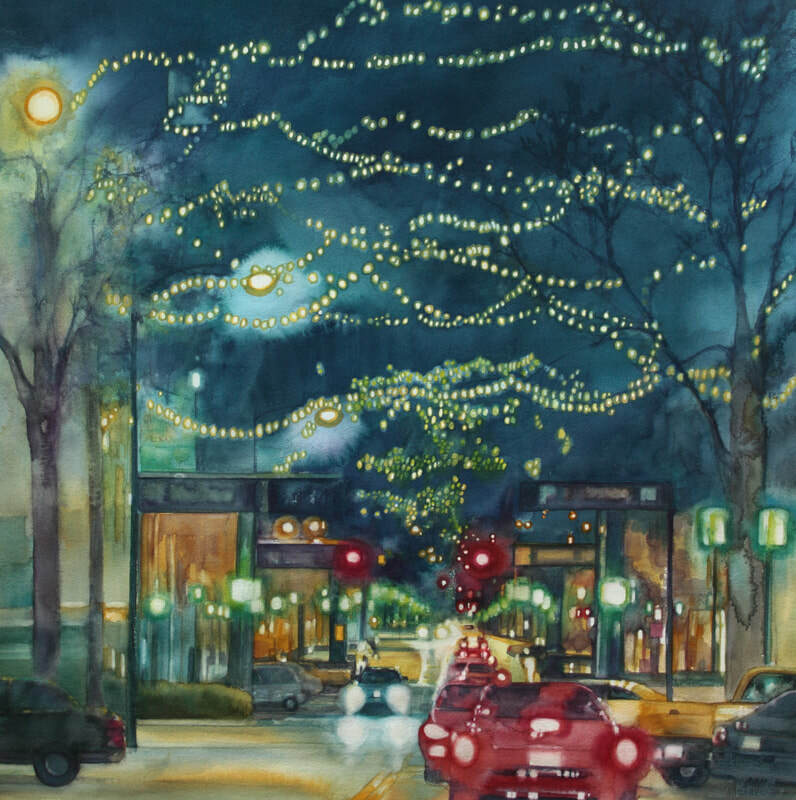 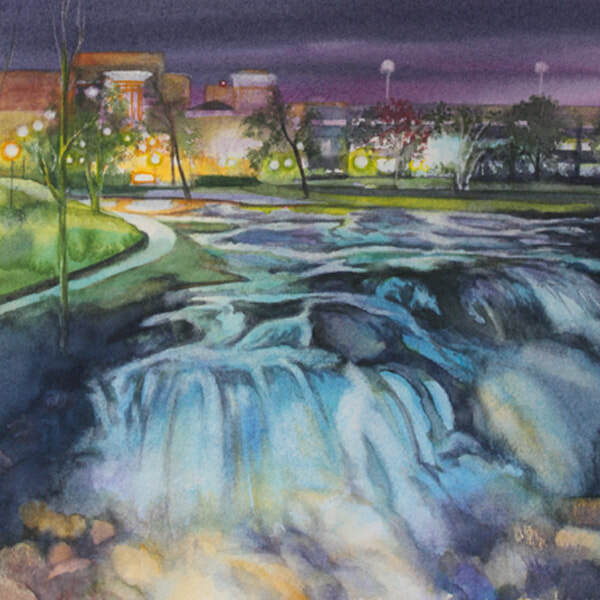 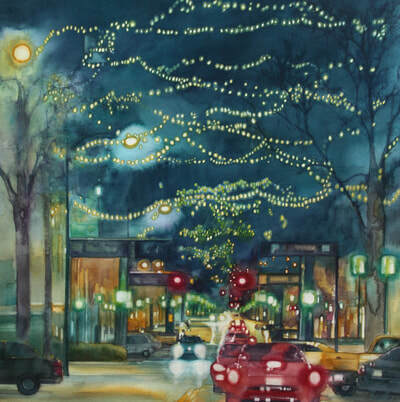 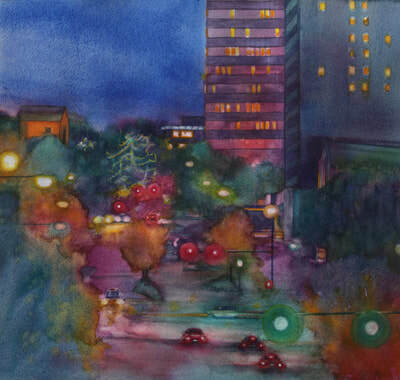 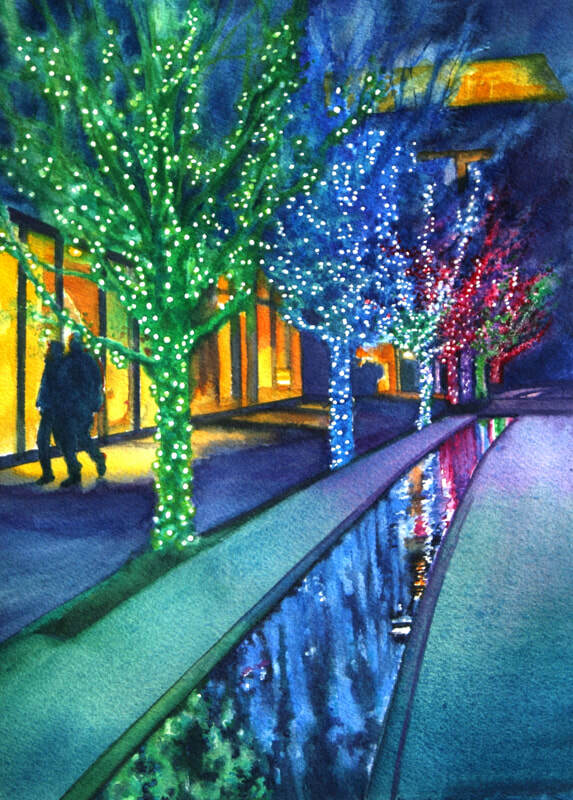 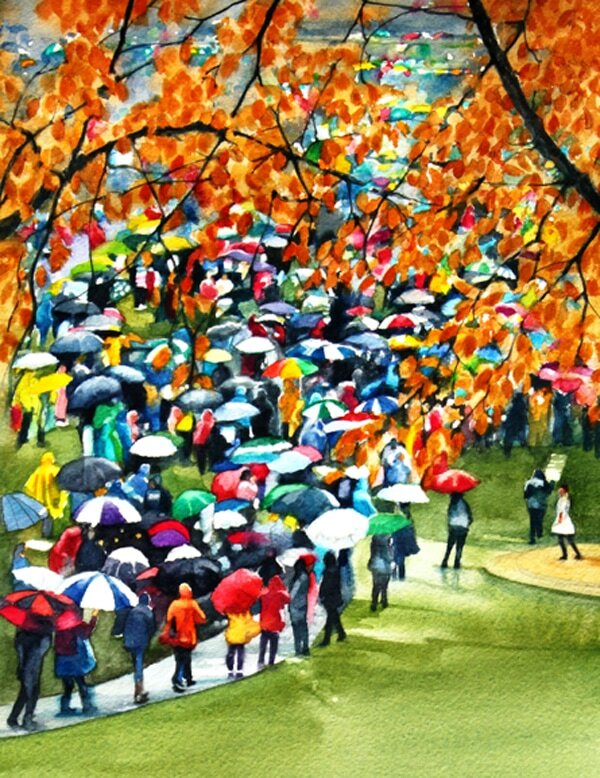 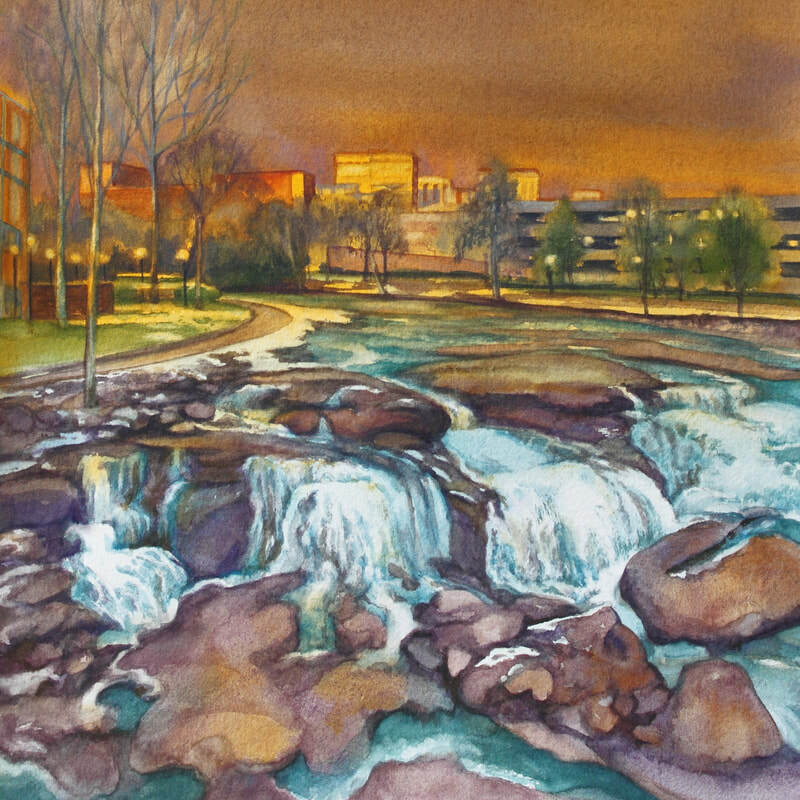 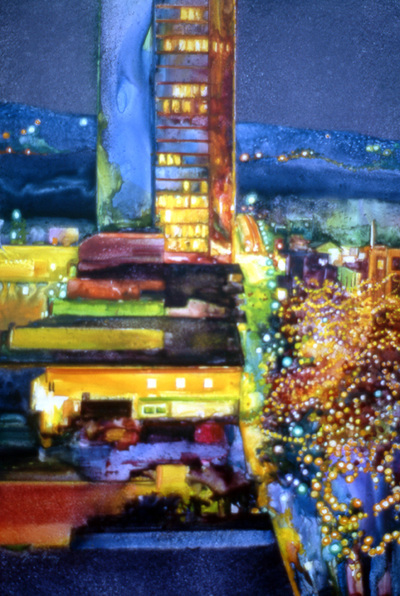 Lynn is a member with excellence of the South Carolina Watercolor Society, a signature member of the GA Watercolor Society, and a board member of the Metropolitan Arts Council (Greenville, SC). 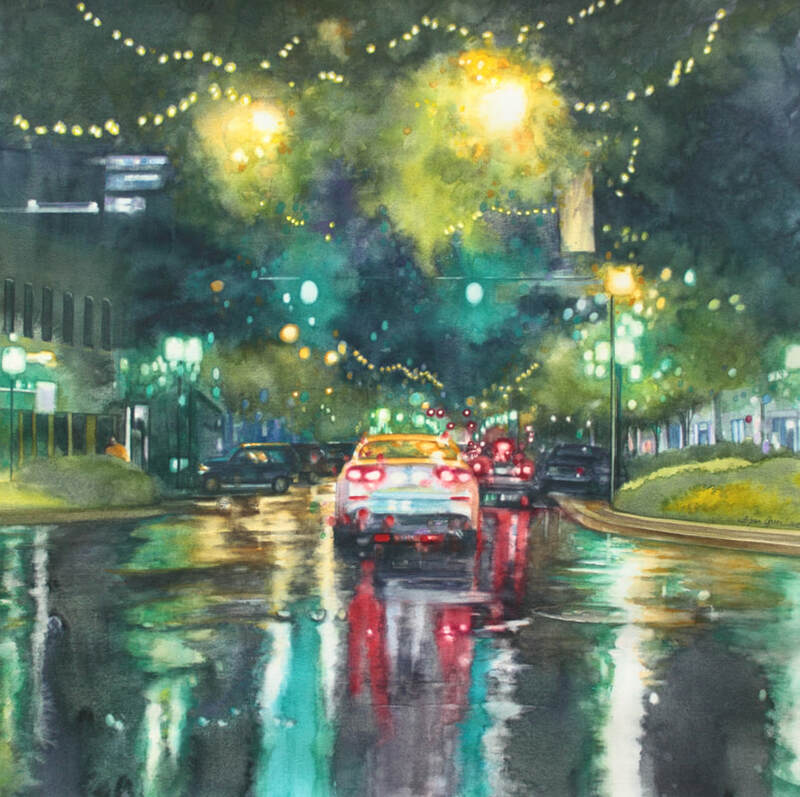 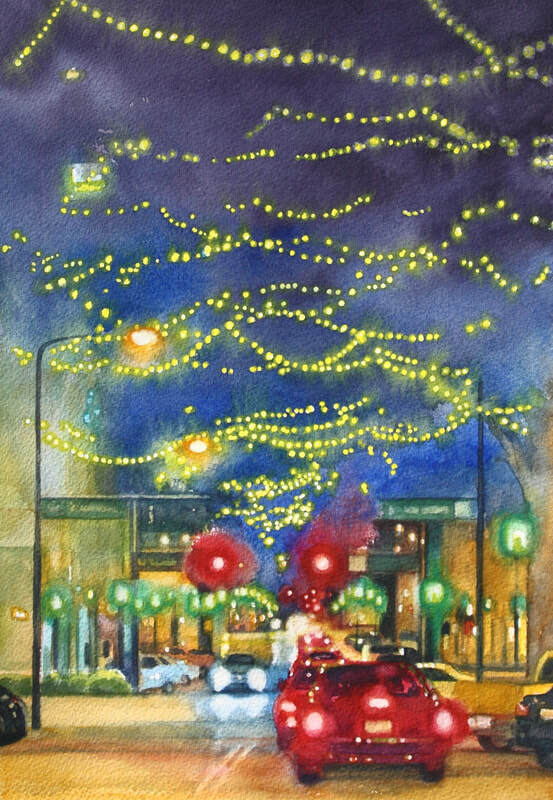 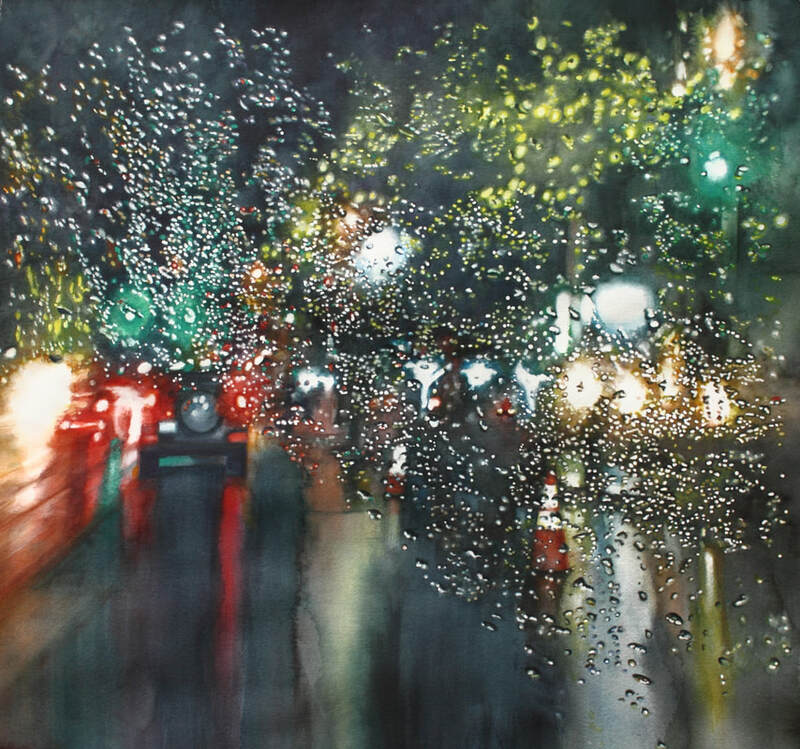 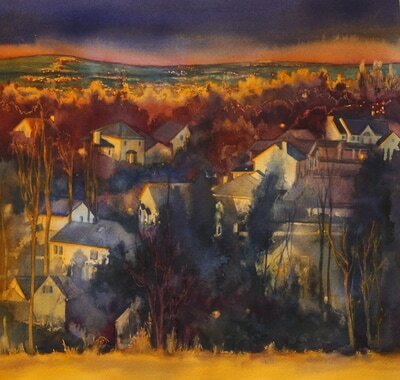 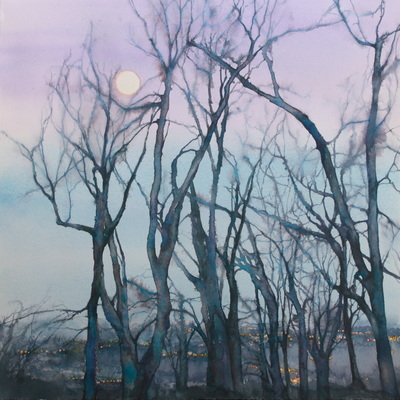 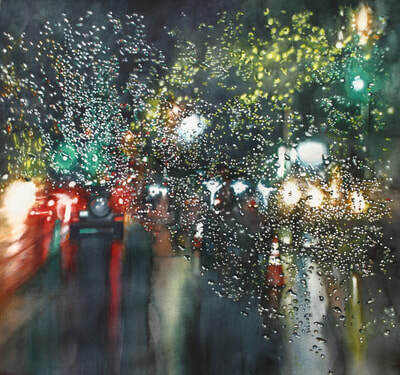 She has been featured in several national publications, including WATERCOLOR MAGIC, THE PALETTE MAGAZINE and AMERICAN ARTIST WATERCOLOR MAGAZINE (which featured twenty emerging artists across the US). 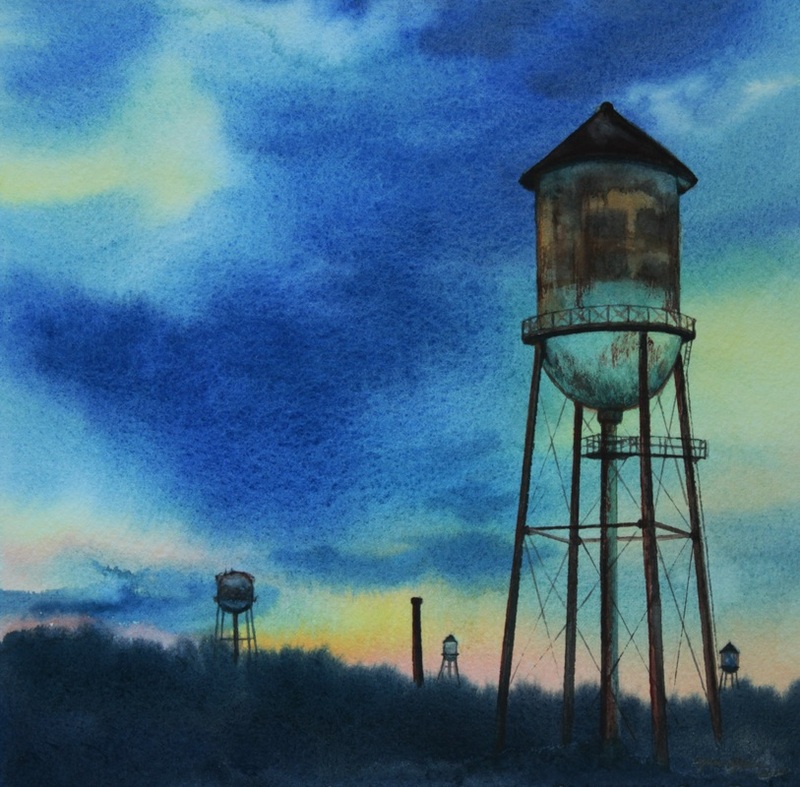 Available for purchase. Contact artist for details.   Move cursor over image for size and price.